Match the letter to a shape to ride the rotten bumper cars! Talk about the letter in the game and the sound that it makes. 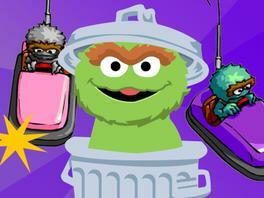 After you give Oscar his trash, go on a hunt around your home to find three more things that start with that letter. 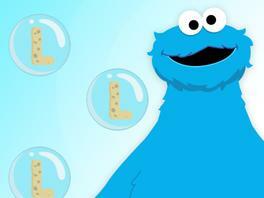 All of the Sesame Street muppets sing a new alphabet song! Go on a neighborhood letter hunt! Point out different letters you see and talk about the sounds they make. Street signs, storefronts, and billboards are great places to look. Abby reads Real People Tales. Lupita Nyong'o and Elmo explain the word skin. Our skin helps us touch and feel things. Touch things around your home such as a carpet, a tiled floor, and different fruits. Talk about how they feel. Are they rough or smooth? Are they hard or soft?